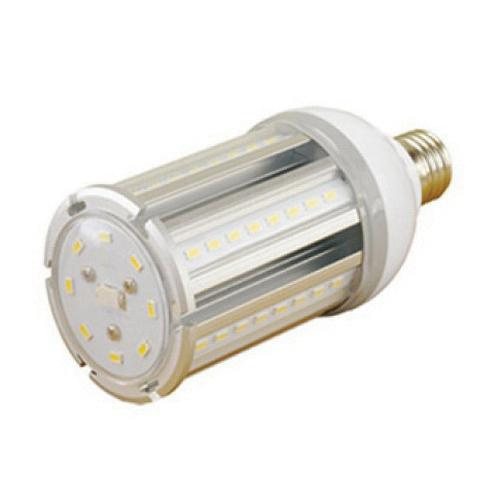 Westgate CL Series 36-Watt E26 Medium base corn LED lamp offers 3800-Lumens of bright light output. This lamp has voltage rating of 120/277-Volt AC. It has color rendering index of 84. This lamp with 5000K color temperature radiates cool white light to the surrounding. It emits or distributes light at beam angle of 360-degree. This lamp measures 233 mm x 91 mm. It comes with average life of 50000 hours. This lamp is ideal to use in enclosed luminaires. It is ideal for retrofitting existing hid highbay, shoebox, flood light or wall pack fixtures. Lamp is cUL listed.